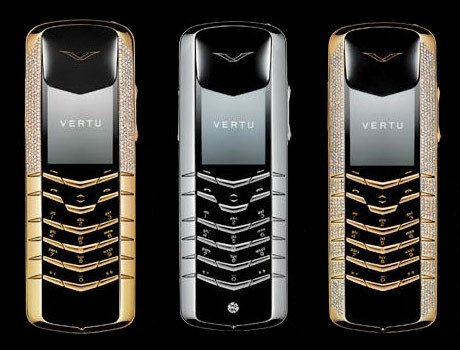 According reports on the Japanese web, Nokia’s luxury brand Vertu models will finally hit these shores sometime in late 2008. Already available in some 48 countries around the world, the company appears to have struck a distribution deal in Japan with 3G units – chipsets may well have been cause for the delay – set to sell through a SoftBank Group agency. Filed under ‘better late than never’ it would seem the company has found an established local partner who has committed to building a dedicated niche distribution channel, via ritz storefronts in trendy Omote Sando and Ginza we would guess, catering to the well-heeled and notoriously brand conscious Japanese shoppers. Considering how popular Austrian crystal models have been with the youth market, there’s little doubt that real diamonds will appeal to their Oyabun.